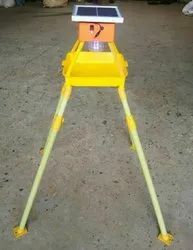 We are highly acknowledged organization engaged in presenting a remarkable range of Lizard Trap. We are the leading suppliers in the market with very less market price and also with very best quality. Cockroach trap is a compact plumbing fixture and is used in the bathrooms. The solid particles are retained at the bottom thereby preventing the clogging of drain pipes and also foul smell. Rat Traps are safe environmental friendly, Safe for Pets, Humans, Non Poisonous, Non Odour, Environment Safe. Most useful in catching Rats and Mice for Home, Bakery, Restaurants, Offices, Food Processing Industry, Hospital, Warehouses, Malls, Multiplexes, etc.